Sunshine and blue skies were the order of the day for our April banknotes auction, a stark contrast to our February auction and a sign that spring has finally sprung! Viewers were queuing at the door to look at the lots on offer making the viewing room and the auction room itself a hive of activity! 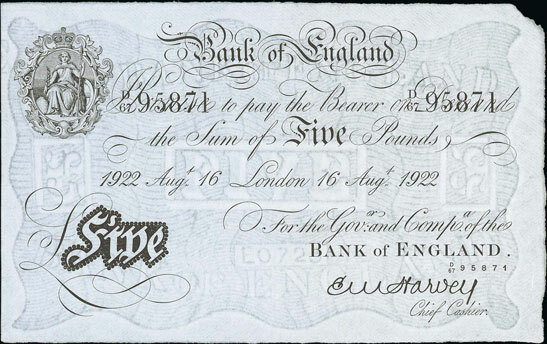 We began the English banknotes section, where this Harvey 1922 £5, graded as good extremely fine, realised £590. 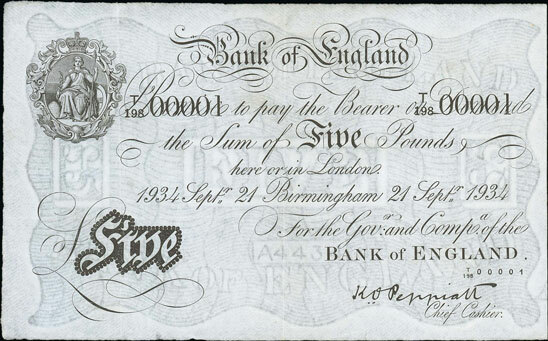 This Peppiatt 1934 £5 Birmingham Branch, graded as very fine, sold for £944, almost double its estimate. 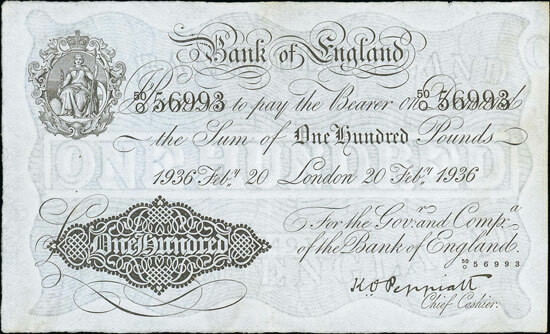 Staying with Peppiatt, this lovely 1936 £100, graded as nearly very fine, achieved £649. There were two notes by Page in the auction which proved particularly popular, both experimental issues, and only one digit apart in their serial numbers. They realised a combined total of £613. 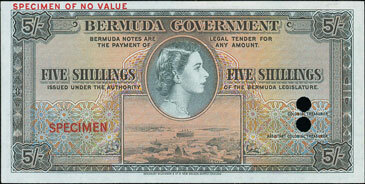 In the world section this highly unusual Bermuda 1952 issue 5 shillings colour trial sold for £306. Scottish notes were popular as ever with this Bank of Scotland 1999 £5, graded as uncirculated, and with an extremely low serial number, achieving £247. 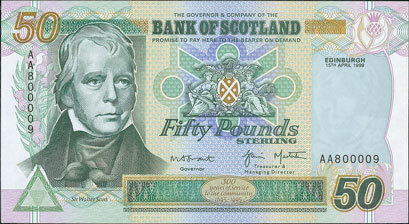 This National Commercial Bank of Scotland 1964 £1 specimen realised £271. 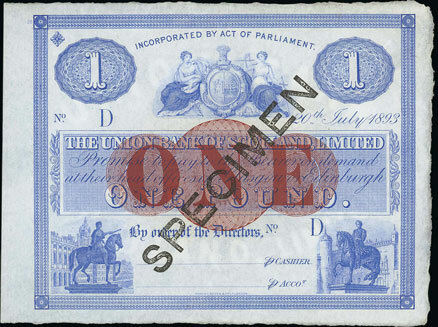 And this Union Bank of Scotland 1893 £1 specimen achieved £224. Our next banknote auction will be held on Wednesday 15th June 2016. Look out for the full catalogue for this sale, which will appear on our website in the next few weeks. Also keep an eye on our Twitter and Facebook pages which will include updates of our latest auction news.